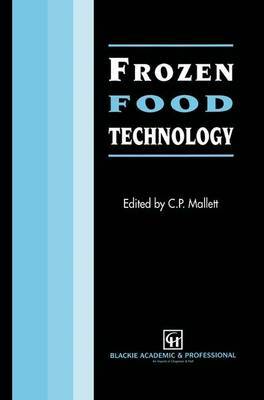 This book on frozen food, as its title suggests, is written for the food technologist and food scientist in the frozen food industry, which includes both food and equipmentmanufacturers. The information will also be useful for otherdisciplines within the food industry as awhole, and for studentsoffood technology. The book, the aimofwhich is to provide an up-to-date reviewofthe technologyofthe frozen food industry, has been divided into two parts, dealing with generic industry issues and specific product areas, respectively. The first section opens with a chapter on the physics and chemistryoffreezing, including a review ofglassy states. The practical realisationoffreezing is covered in the next chapter, which also covers frozen distribution and storage. Chapter 3 deals with packaging and packaging machinery, a sector where there has recently of product safety is been considerable technological progress. The key area discussed in detail in chapter 4, and includes microbiology and hygienic factory design, as well as consumer reheating, particularly microwave reheating. Health and dietary considerations have become much more important to consumers, and chapter 5 reviews the current nutritional status of frozen foods and their role in a modem diet. The driving force for scientific and technological change in frozen foods is the massive market for its products and the consequent competitive pressures, and the first part ofthe book concludes with a chapter on development ofnew frozen products, and how to apply the technical knowledge, both generic and product specific, to innovate in a consumer-driven market.